The well-known online bilingual dictionary Linguee has launched a completely new free dictionary app for the iPhone and iPad. With this new app, there are more words and phrases available than ever before, also offline. A further highlight is the modern user interface, which sets Linguee apart from previous dictionary apps. Linguee is fully integrated with iOS 9: you can also look up translations in other apps. Further information about this new concept can be found in the attached press release. You can download and try out the new app here. 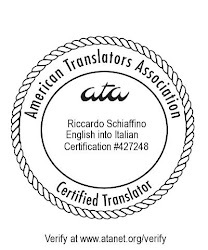 The number of handbooks aimed at beginning or more seasoned translators is growing. 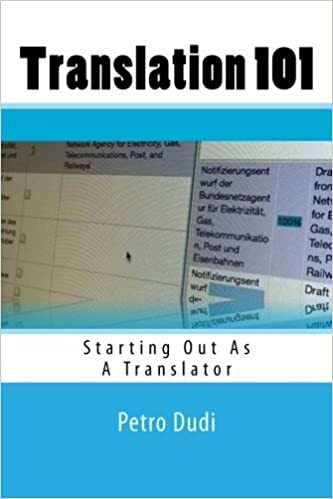 A recent addition is Translation 101: Starting Out as a Translator, by Petro Dudi. I haven't had the time to read the whole book yet, but it should prove useful, especially to beginning translators. If you are interested in the eBook alone, probably the cheapest price is through Amazon (or another webstore, like Lulu) - but if you want an unlocked version of the book, in three different formats (pdf, eBook and Mobi), and three additional spreadsheet tools, then go through the author's own website.